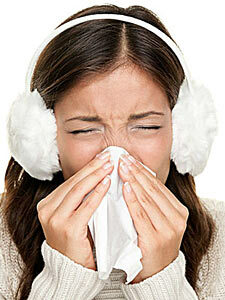 As the change of season upon is upon us, many people get worried about coming down with colds. For some, every change of season brings with the a cold. People always ask the question, can acupuncture help my immune system, and the answer is a loud, boisterous, YES. Acupuncture can help prevent you get over a cold faster. In my experience, it can also help for those to prevent colds for those who get frequent colds by boosting the immune system. Acupuncture has long been touted for its ability to enhance health and keep people from getting sick. Historically, acupuncture doctors in service to the emperors of China were only paid if they kept the Emperor healthy, not if he got sick. So it has long been known acupuncture works to keep people healthy. Traditionally, we say that acupuncture stimulates the body to produce more Qi, the body’s energy. We use Qi for all of the body’s activities including fighting off diseases and boosting the immune system. It also helps to increase circulation, which keeps everything moving and healthy. An example of how acupuncture stimulates the immune system is that it activates the production of natural killer cells, a type of white blood cell that defends the body against infection. Acupuncture also helps to activate genes that help the immune system, and stimulates antioxidant production in the liver, hypothalamus, and red blood cells. [6,7] Acupuncture has also shown to enhance immunity through the Neuro-Endocrine-Immunity network. Each acupuncture point has specific healing abilities. One of the best points for improving immunity, overall health, and digestion is Zu San Li- Stomach 36. Acupuncture at this point can produce profound healing effects throughout the body. Another highly effective traditional treatment for boosting immunity is apply moxibustion at this point daily during the change of season, or for 100 days if you have a chronic illness. Research has shown that Stomach 36 moxibustion stimulates genes related to immune function. Acupressure at Stomach 36 is also great for boosting immunity. Massage each day for 30 seconds on each side. I recommend a daily practice of rubbing Stomach 36, LI4, and PC 6 daily for digestive health and immunity. Traditionally, it is said that after massaging these points for 100 days you will see great improvements in health. Which means more time to enjoy the beautiful autumn days! Kawakita K, Shichidou T, Inoue E, et al. Preventive and curative effects of acupuncture on the common cold: a multicentre randomized controlled trial in Japan. Complement Ther Med.2004;12(4):181-188; PMID: 15649831. Liang F, Cooper EL, Wang H, et al. Acupuncture and Immunity. Evid Based Complement Alternat Med.2015;2015:260620; PMID: 26347190. Jong MS, Hwang SJ, Chen FP. Effects of electro-acupuncture on serum cytokine level and peripheral blood lymphocyte subpopulation at immune-related and non-immune-related points. Acupunct Electrother Res.2006;31(1-2):45-59; PMID: 17063830. Mori H, Nishijo K, Kawamura H, et al. Unique immunomodulation by electro-acupuncture in humans possibly via stimulation of the autonomic nervous system. Neurosci Lett.2002;320(1-2):21-24; PMID: 11849754. Gao YH, Wang JY, Qiao LN, et al. NK cells mediate the cumulative analgesic effect of electroacupuncture in a rat model of neuropathic pain. BMC Complement Altern Med.2014;14:316; PMID: 25158599. Shi J, Zhang Y, Qi S, et al. Identification of potential crucial gene network related to seasonal allergic rhinitis using microarray data. Eur Arch Otorhinolaryngol.2016;10.1007/s00405-016-4197-9PMID: 27435592. Zeng XH, Li QQ, Xu Q, et al. Acupuncture mechanism and redox equilibrium. Evid Based Complement Alternat Med.2014;2014:483294; PMID: 25097658. Ding SS, Hong SH, Wang C, et al. Acupuncture modulates the neuro-endocrine-immune network. QJM.2014;107(5):341-345; PMID: 24106314. Rho SW, Choi GS, Ko EJ, et al. Molecular changes in remote tissues induced by electro-acupuncture stimulation at acupoint ST36. Mol Cells.2008;25(2):178-183; PMID: 18413997. Yin HY, Tang Y, Lu SF, et al. Gene Expression Profiles at Moxibustioned Site (ST36): A Microarray Analysis. Evid Based Complement Alternat Med.2013;2013:890579; PMID: 24198847.